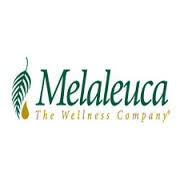 You all know that I love anything that is natural or good for you that is why I wanted to tell you about this company that offers wellness products called Melaleuca. A great company that offers things like household products, shampoos and much more. There's no harsh chemicals in their products that they sell, so you are sure to be getting something that is good for you! Please visit the website, and in the "safer home" section, use code "natural" for access!